Manchester City and Barcelona have more weapons than North Korea so betting on an attacking UEFA Champions League game at the Etihad Stadium makes an incredible amount of sense. The UEFA Champions League round of 16 kicks off with a tie that pits two of club football’s strongest attacks together and anything less than fireworks would be a major surprise. Over two and a half goals will be a popular play but, even though the odds on offer are slightly shorter, one thinks that backing both Manchester City and Barcelona to score during the first leg of the mouth-watering UEFA Champions League encounter is the smarter punting proposition. The statistics scream backing both teams to score at odds of 1.53 with Bet365 and BetVictor. Manchester City have scored at least one goal in 55 of its last 56 home matches across all competitions since drawing a blank against Liverpool in an English Capital One Cup game 25 months ago. And regarding UEFA Champions League matches at the Etihad Stadium, both sides have found the back of the net in eight of the nine games since Manchester City debuted in the tournament. The odd match out was Manchester City’s 2-0 defeat of Bayern Munchen in December 2011. Other than that, UEFA Champions League games at the Etihad Stadium have been goal packed. Spanish club football does not have the same strength in depth as English club football and, therefore, one would expect Barcelona to rack up a number of away wins without conceding a goal. But one would be disappointed to discover that Barcelona has kept just two clean sheets in its last nine domestic road matches, with both-teams-to-score bets paying off in half a dozen of those games. Factor in that Barcelona has kept clean sheets in only three of its nine UEFA Champions League away matches over the last two terms and the numbers are telling one to take the odds of 1.53. Sometimes caution gets the better of sides in the UEFA Champions League knockout stage but surely Manchester City is going to go for Barcelona’s throat at the Etihad Stadium because it will want to travel to Spain with a lead and surely Barca, knowing that attack is the best form of defence for them, will fight fire with fire in England. Sticking with the Etihad Stadium clash and one thinks that Manchester City is well over the odds at 2.90 with Youwin to beat Barcelona in what promises to be a shootout. Manchester City’s home record is light years ahead of most of the teams that Barcelona runs into in Spain and, as entertaining as Barca are to watch, one must remember that they came a cropper in last season’s UEFA Champions League because they could not handle Bayern Munchen. Since Pep Guardiola called time on his spell as Barcelona boss, Barca has played nine UEFA Champions League games on the road for three wins, two draws and four losses. The only sides that Barcelona has defeated in its post-Guardiola era are Benfica, Celtic and Spartak Moskva, with Barca having drawn with Milan and Paris Saint-Germain and lost to Ajax, Bayern Munchen, Celtic and Milan. Barcelona has to go down as a false favourite away to Manchester City on Tuesday. 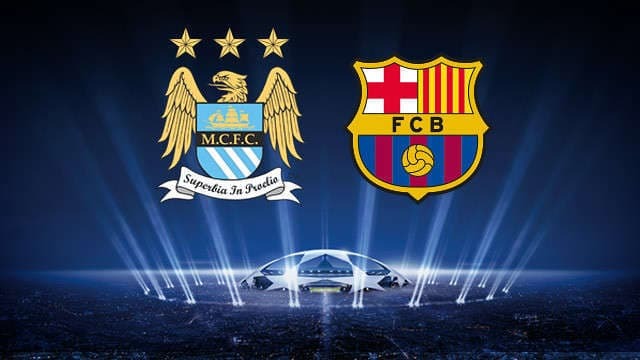 Whereas Manchester City and Barcelona should entertain UEFA Champions League spectators, one anticipates that Milan and Atletico Madrid will not put on a show worth watching when they meet at the San Siro. Under two and a half goals is trading at odds of 1.63 with 888sport, odds that are more than acceptable given the stuttering performances and the likely tactical approach of Atletico Madrid. Milan has won three, drawn one and lost two of its half a dozen matches under its rookie manager, Clarence Seedorf, climbing the Italian Serie A ladder but exiting the Coppa Italia and giving the distinct impression that it is not going to make giant strides forward in the coming weeks. Atletico Madrid boss Diego Simeone has approached most of his team’s tough tests, particularly away from home, with the same tactics, which have been to defend in numbers and give up as little as possible. Simeone has been content to see Atletico concede possession and territory provided that the Mattressmen do not leave holes for their opponents to exploit. One would bet that Simeone would be happy to get out of Milan with a goalless draw so back under two and a half goals at odds of 1.63 and, if you like a speculative punt, consider backing the 0-0 scoreline at the juicy odds of 8.50 with William Hill.